Welcome to the second annual Home for the Holy Days party! For Christians, Christmas is a special time to celebrate the birth of Christ. Of course, the Bible does not tell us the date of Jesus's birth, nor does it require that the birth of Christ be celebrated in any particular way. But over the centuries since Christ lived on earth, churches have adopted the tradition of looking forward to the coming of Christ during the season of Advent and celebrating the birth of Christ on Christmas. This special remembrance is good for our souls. Yet amidst all the hustle and bustle of this season, it's easy to become overwhelmed and to forget what Christmas is all about. This party is a celebration of the ways we keep our focus on Christ at this busy time of year. At our house, a lot of Christmas decor is centered on Christ. First of all, our tree is always situated in the corner of living room, right alongside my cross collection. I like this reminder of the fact that what began at the manger was completed at the cross. We have a number of nativity scenes, as well. One of my favorites is this candle trio from Dayspring. This is a new nativity set. Our oldest son, Will, went to Israel last year as part of a Duke University class. 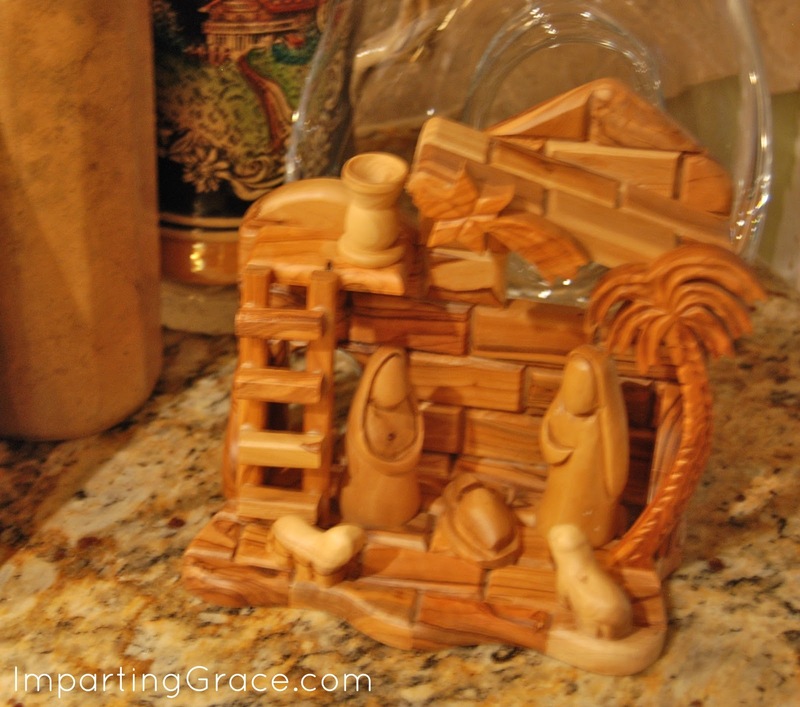 He spent New Year's Eve in Bethlehem, and he brought me this sweet nativity set made there. We also have an Advent wreath. 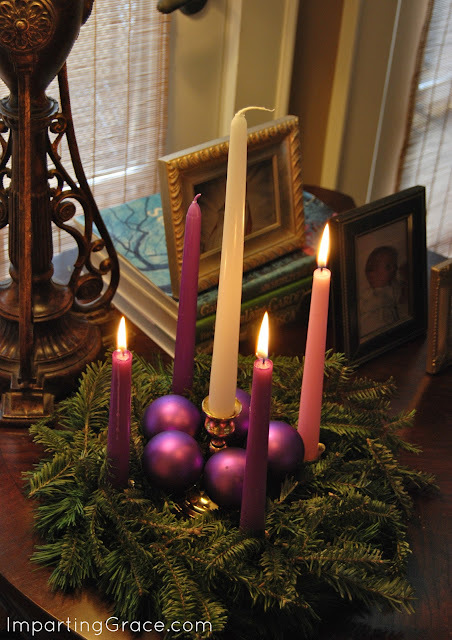 Lighting a candle on each of the four Sundays of Advent is a special way to remember the season. One of our most treasured traditions is attending our church's Christmas Eve service. Although neither of us grew up attending a Christmas Eve service, Jack and I started this practice when our boys were very small. This is one of my favorite services of all the year. For several years now, Preston has read the passage from Luke 2 about the birth of Jesus. Last year we got to add another service to our Christmas Eve remembrance. Will was asked to be a reader at the Duke University Chapel 11:00 P.M. service of Lessons and Carols. This is a particularly beautiful service that's always jam-packed with people. Because Will was part of the program, we had reserved seats right at the front of the chapel. Being there all together was a great gift. Now, what about you? What do you do to keep the focus on Christ at Christmastime? Link a post about your Christmas decor, traditions, favorite books--anything that's special to you. If you've written a a Christmas devotional, I'd love to read that, too! Be sure to link to your specific post, not your blog's home page, and please include a link to this party. If you don't have a blog, feel free to link to a Facebook post or leave a comment describing your traditions. Richella, thanks so much for hosting this beautiful party. I love the decorations in your home that reflect the Reason for the Season, Jesus. I am your newest GFC follower and Facebook fan. Have a blessed Christmas! Richella, this is a wonderful party! 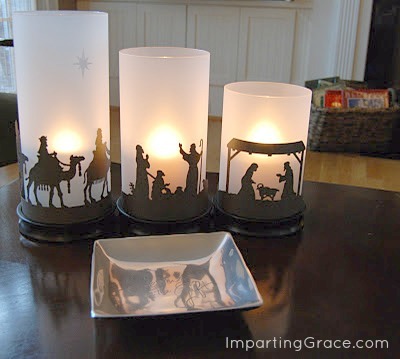 You have such pretty nativity scenes and those candle holders are wonderful. Thanks so much for hosting! I love the tree next to the crosses. And you know I've always loved that cross wall. And I love my Jesus who was willing to endure life and death on this planet for me. And you. And whoever is reading this comment. You have beautiful decorations, so meaningful! I have a little nativity scene statue that makes me smile each year as I pull it out - a student of mine bought it at the Dollar General years ago and when I opened it, he said "Look, Mrs P, it has 4 wise men" haha, he thought that one of the shepherds was a wisemen and thought he really found a unique gift....I will always treasure it and remember the young boy who bought it with his own money. Merry Christmas, Richella - enjoy this holiday with your family! Hello, sweet friend! I think of you every time I fill my boots up with something new...do you recognize them? Hugs to you and thanks for hosting! 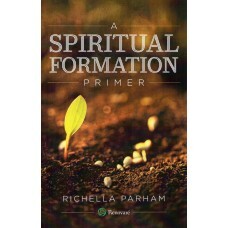 Hi Richella...I am joining up with your blog party. Thanks for hosting! 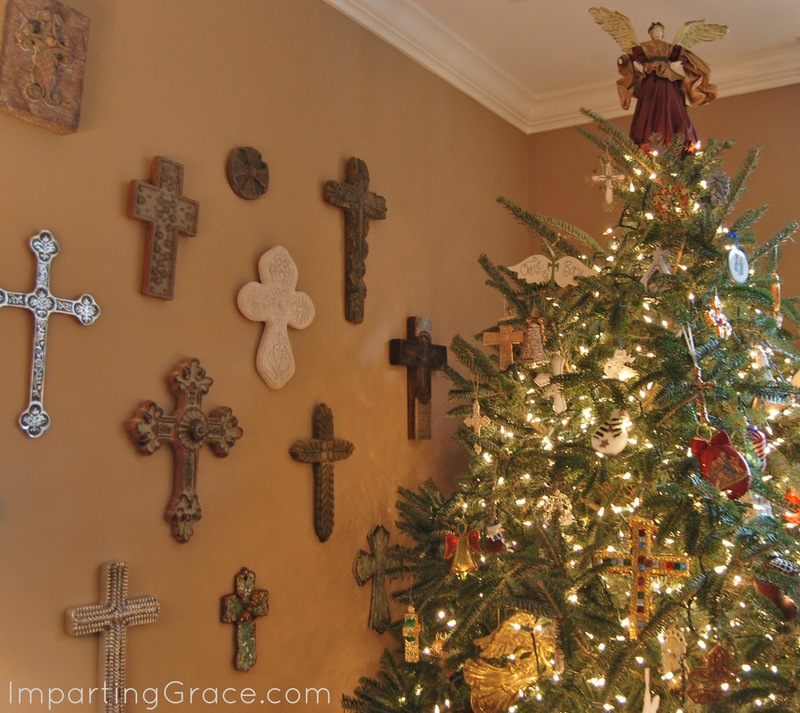 I love your cross wall with the tree together. I also have a cross wall, but my tree is across the room. I also have the three candles with the scenes on them from Dayspring...and I love them so much I bought my three daughters each sets! I hope you will have a wonderful and blessed Christmas! I love your cross wall! I have one, too! My husband likes to joke that vampires wouldn't have a chance in our house. Thank you for helping focus us on what's really important, as you always do. The Duke Lessons and Carols service sounds amazing! I'm so thrilled to be joining your party Richella and so appreciate the comment you left on my post today! :-) Your home is truly beautiful and a reflection of hearts that are turned toward our Savior this time of year and always. Thank you so much for hosting us! I'm enjoying the Advent season and reminders and anticipation! Love your wreath! Richella, I told you I would be linking up! Whew, I finally finished my post this morning. So happy to be here for your second annual party. This is such a wonderful idea, I wanted to support it.